Sponge ink Colors onto the metal stencil instead of the paper, lay paper over top of inked stencil then run it through your Cuttlebug or Bigshot. With these stencils you have the options to stitch as well. 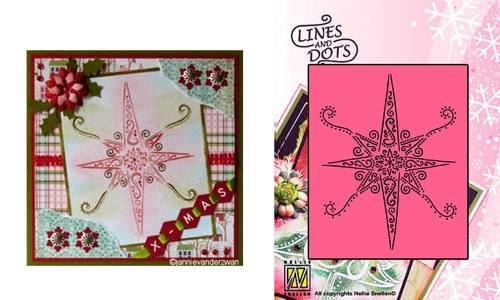 Use them as parchment craft grids for a unique focal point on cards/layouts. For a different effect you can use paste to fill in the design scrapping access off and adding glitter to wet paste.